Would you like to join us OR renew your membership? Please indicate whether you would like your name, telephone number, email address, county or country in which you reside and colour(s) kept, to be included in Yearbook. I give permission for the club to contact me about club matters by post, email or phone. I DO NOT GIVE permission for the club to contact me about club matters by post, email or phone. I give permission for photographs of myself, taken at stock shows or club events, to be printed in the annual club Yearbook, posted on the club website or displayed on the club stand. I DO NOT GIVE permission for photographs of myself, taken at stock shows or club events, to be printed in the annual club Yearbook, posted on the club website or displayed on the club stand. Not applicable I give permission for photographs of my child taken at stock shows or club events to be printed in the annual club Yearbook, posted on the club website or displayed on the club stand. I DO NOT GIVE permission for photographs of my child to be taken at stock shows or club events. New data protection laws require that you consent to the PRIVACY NOTICE which describes how we manage & process the information that you have given us. We need your consent to process your membership. Please read the Privacy Notice below carefully. 1. What kinds of personal information do we keep in our club membership records? Name, address, telephone number, email, date of birth (for those under 16 years of age), colours kept, membership type (adult, junior, senior citizen, registered disabled, overseas), membership category (breeder, non-breeder, pet-owner), current or archived member and stud name. 2. What is the source of your personal information? It is taken from the application form that you completed when you joined the club and any subsequent updates made by you. 3. Where is your personal information stored? Your personal information is stored in two formats: (1) a digital format is kept on a dedicated club computer, (2) a hard-copy version is used as a backup. The club membership secretary and the club administrator. Club officials upon request. To communicate directly with you about club events and related club matters by letter, email or telephone. 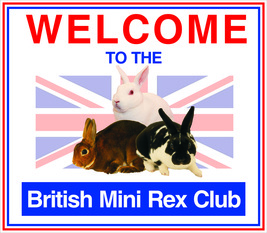 To publish in our annual club yearbook, with your expressed permission, the colour(s) of Mini Rex that you breed by printing your name, telephone number, email address, county or country in which you reside. 6. Do we share your personal information with other organisations? You should inform us immediately so that we can update your membership details. (1) As a current member: for the duration of your membership. (2) If you do not renew your club membership, your personal information is kept for six years as an archived member. After this time your personal information is permanently destroyed. 9. Your right to be forgotten. Should you decide to terminate your club membership or not renew your club membership, you have the right to ask that we permanently destroy your personal information. Membership Secretary by letter, email, phone, Facebook or follow us on Twitter. Click the button 'Application Form' above, print & complete the form and send it to the address above with a cheque made payable to 'BMRC Account'. Please note that Juniors are FREE for the first year and £2.00 thereafter.